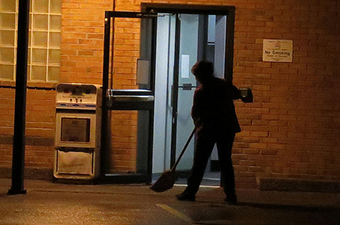 Every day of the week, environmental service workers enter hospital patients’ rooms to clean. Their work may bring a measure of dignity and connection to people who are sick, vulnerable, and away from their familiar homes. Because these workers are assigned to the same specific areas of the hospital, they often develop meaningful relationships with patients. While the roles of housekeepers in the support of patients and their families are a potential source of vital health information, this is neither widely understood nor appreciated. We are developing a curriculum module to illuminate the remarkable ways in which hospital housekeepers care for their patients, and to bring this important work to the attention of healthcare professionals. The curriculum centers around a 20 minute documentary video. In the video, eight housekeepers at Duke Hospital and Duke Regional Hospital talk about their special human relationships with patients and the ways in which they believe their work contributes to healing. Upon completion of the film, its impact on an interdisciplinary student audience will be assessed.